There will be many ways you can volunteer your time & energy for pet charities around the UK and overseas. Most have volunteer pages, often under the headings Get Involved, How You Can Help, that sort of thing. And if you don't want any contact with the animals they are trying to help, that's fine too. Plenty of people do essential volunteer work behind the scenes, hardly having any contact at all with the animals they care so passionately about. Sometimes, for some of us, it's just too painful to get hands-on involved. Rescue Helpers Unite is a forum based database, network and community of animal rescues and volunteers, helping all types of animals in need. Visit Rescue Helpers Unite here & sign up! Here are examples of people who've got active & sown the seeds of what have become charities, all of which need help in any way you can give it. 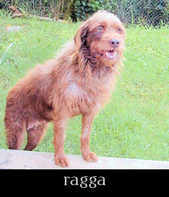 This is Ragga from the Animal House Jamaica. Maureen Sheridan got active & founded the Animal House Jamaica which rescues cats & dogs. She faces several challenges, not least of which is not knowing who will turn up to help each day - volunteering isn't part of the social fabric in Jamaica - and hurricanes - the Animal House Jamaica has been badly hit by 5 hurricanes in the last 4 years. Fortunately, Animal Friends Insurance have been able to help the charity repair the most recent hurricane damage, but Maureen could still use more help & volunteers. Would you make a donation to help her in her work? Mrs Averil Jarvis founded the Cinnamon Trust to help protect & uphold the precious & unique bond which exists between elderly people and their pets. Today, the charity has a network of 12,000 volunteers around the UK who help elderly people with pet care, including dog walking. 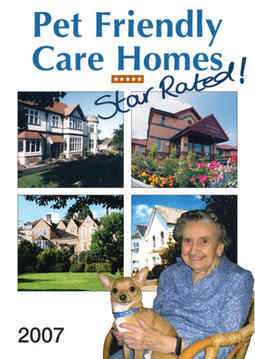 Their efforts can make all the difference between the elderly and their pets staying together - or being parted forever. While on a long weekend in Spain, we used the chance to get active with animals instead of lazing about in a bar or on the beach and made some great new friends. We helped out at PADsnear Malaga, a charity which rescues & rehomes cats & dogs. We learnt about a tourist from Finland who'd stopped in one day to visit; and now regularly finds cats & dogs homes in Scandinavia. Every month or so, a number of cats & dogs find themselves flying to Scandinavia to new lives in loving homes, thanks to the efforts of one tourist who just happened to stop by an animal charity for a visit!